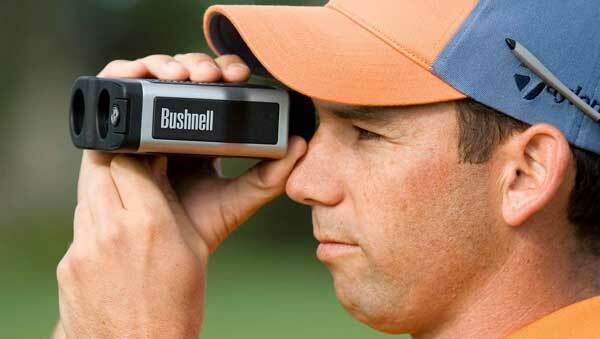 Which is Better on the Golf Course – a Laser Rangefinder or a GPS Rangefinder? You’re on the 14th hole of a very competitive round of skins with a couple of your golf buddies, and this hole happens to be a par 5. After your drive, you pull up to your golf ball and look at the distance in the green. There are no yardage markers nearby, and you are having a hard time determining how far the hole is from where you are. Is it 220 yards, or 250 yards? It’s only a 30 yard difference, but that could mean all the difference in winning this hole and taking the all the rollover winnings, or pushing to the next hole. You decide that it’s around 250 yards, so you break out your Hybrid 3-wood, and hit the ball 20 yards past the hole. At this point in time, you realize that you really need to get a rangefinder. Once you arrive to the store to look at them, you see there are two main kinds of rangefinders, which are the laser and GPS. By looking at them, it is hard to tell which one will be better on the golf course. Within this article, we’re going to discuss the benefits and drawbacks of each, and then give you our recommendation on which one to go with. 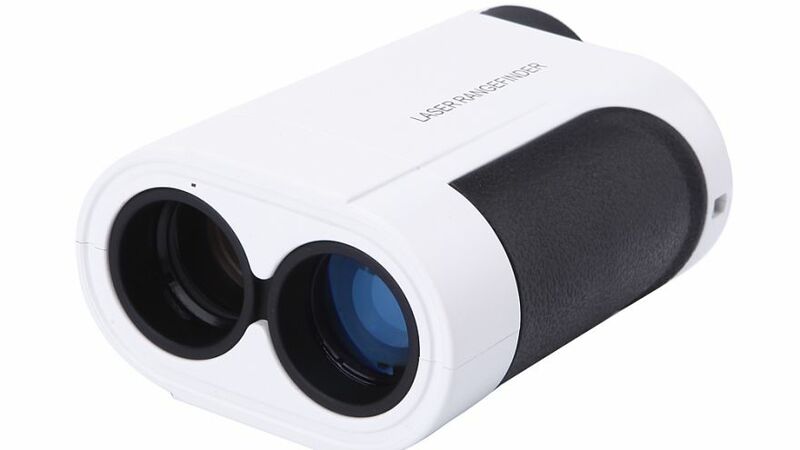 This rangefinder uses a laser beam, which you can point at a certain object, and it will project back to you a reading to tell you how far that object is away from you. The laser beam is sent as a narrow beam to the object in question, and it determines the distance by calculating how long it takes for that beam to bounce of the item. 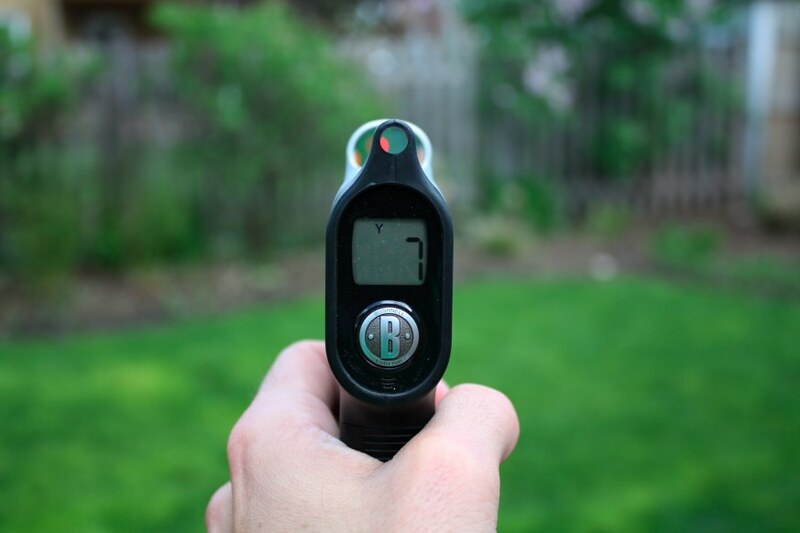 Because you are measuring in yards, rather than millimeters or any smaller units, this kind of rangefinder is great to use for your Point A to Point B measurements. The major drawback to normal laser rangefinders is how long the narrow laser beam actually stays narrow. The further out the beam goes the less narrow it becomes, which could give you a distorted reading. In addition to this, the weather can also play tricks on the laser beam, as it will not cut thru bad weather or fog in a clean and precise manner. In addition to this, if there are any trees or bushes in the way of your reading, or even nearby, the reflection off of the leaves of either could provide a false reading to the laser beam, which will alter the information it provides back to you. The GPS Rangefinder can provide a more accurate and precise method to determine the yardage needed to get from where you are to any point on the hole you are looking at. If you want to know how far it is to carry a sand trap from the tee box, it will provide that information to you. This technology can work on either a smartphone, or in a GPS enabled watch, meaning you do not need to have an extra tool to give you the information you are looking for. A GPS Rangefinder watch does provide a lot of other benefits than just yardage. These benefits include allowing you to count how many steps you take on the golf course, along with how many calories you have burned. In addition to this, some watches will actually analyze your swing, and provide recommendations to you concerning how to improve your swing. It will also detail how fast you are swinging the golf club, and then determine how fast the golf ball is traveling when you strike it. This is especially helpful when you are on the practice range, which is the only time you should work on your swing. The biggest drawback with the GPS rangefinder is that you have to download the course information into your smartphone or watch. If the golf course you are playing is not available for download, then there is no other way for you to gain the information you are looking for while on the course. Even if the information is downloaded, you need to ensure you have the most up to date information, as well as figuring out the pin placements along each hole, as they typically move from day to day. There are clear advantages, and some disadvantages, to each rangefinder. After reviewing all of the pros and cons of each item, our recommendation is that if you have the money within your budget, then you should go with the GPS rangefinder. The data you can accumulate from the GPS watch is invaluable, which will not only tell you accurate yardage information, but other vital information you can use to improve your golf game. If you can’t afford a GPS, then buying a laser rangefinder is a good deal; however, you should save up and switch over to a GPS rangefinder as soon as you can, as the benefits clearly outweigh the benefits of a laser rangefinder.